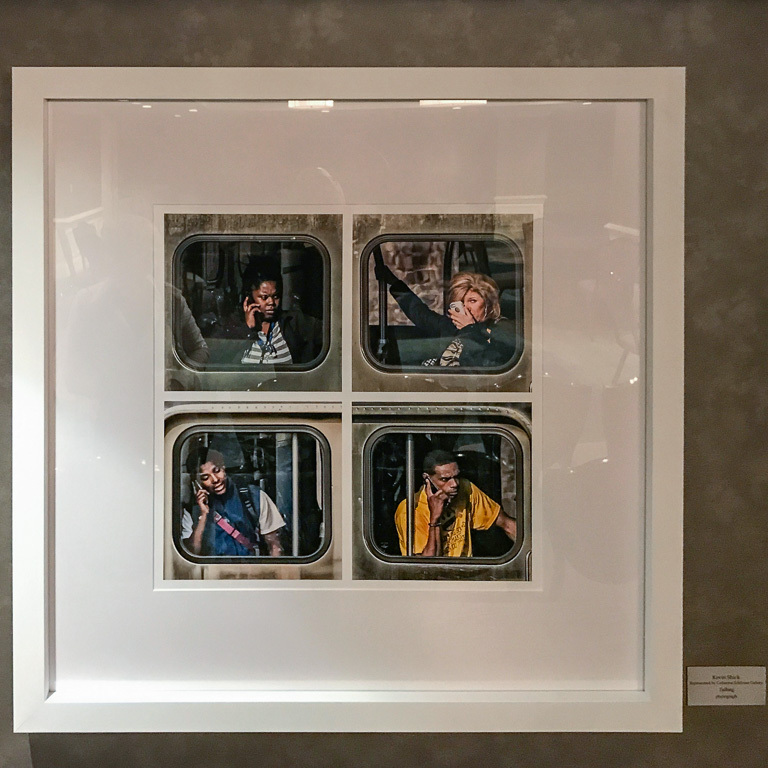 In April my gallery sold for four prints from my series "The Commuters"; a few weeks ago I learned the collector was the Blackstone Hotel in Chicago, a historic venue of Beaux-Arts architecture dating to 1910. The hotel has a long and rich tradition of collecting both historic and contemporary art, and had recently undergone a major refresh. Their acquisition of my work was part of that project. The hotel curated works with an eye to mixing its colorful past with a modern creative lens. Pieces were placed on each elevator landing and other public spaces. My images found their new home in the Concourse Level meeting rooms - appropriately called the "Train Rooms", each named for a different local train line. Last week I was pleased to attend an event that the Blackstone hosted, celebrating their new artists and showcasing their work. Called "We Heart Our Art(ists)", it was a great opportunity to meet other local artists across multiple media. It took place in their Art Hall, a space open to the public that holds a rotating collection of contemporary art. If you're in Chicago you should check it out. 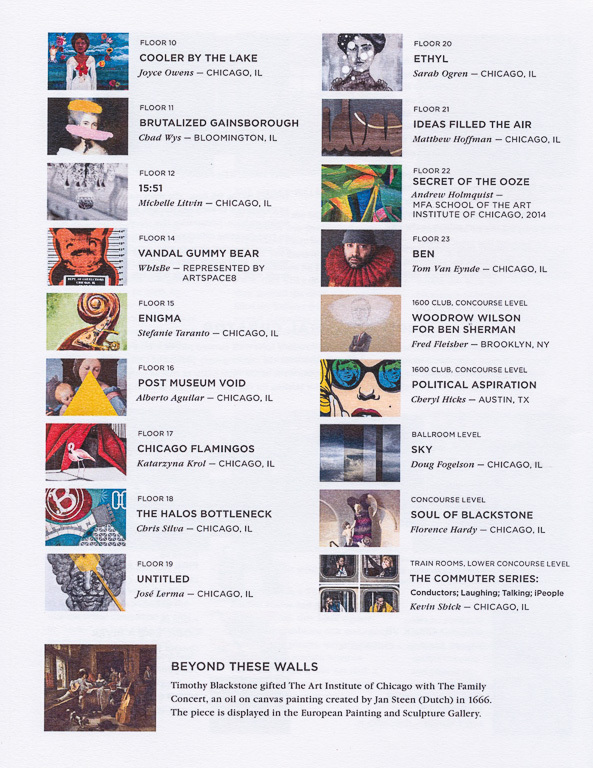 Thanks to the Blackstone for supporting local, emerging artists. It's an honor to be in their company!